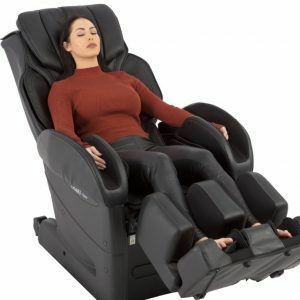 After a long and extensive research in the realm of zero-gravity massage chairs, including investigation of how and where they were manufactured, personal experience, and talking to experts Luraco Technologies iRobotics 7 is the best massage chair in 2018 / 2019. If you know my work with massage chairs, you probably aware that 95% of all chairs and brands are not even worth considering, including this overpriced garbage Here (pardon my language). Thanks to its state of art body detection technology, one of the highest numbers of air cells found in electric full body shiatsu massage chairs. Superb adjustability will offer the best massage experience, regardless height, body composition or personal preferences. Also it’s the quietest of all massage chair models, so your experience is accompanied only by your favorite music (built-in mp3 player and speakers) and not the noise of it's motors and air pump. iRobotics 7 massage chair is the only massage chair model assembled in USA (with US based customer and after-sale support). 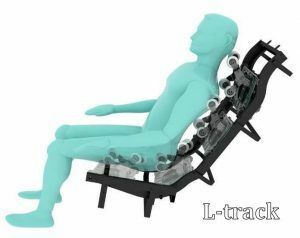 UL and FDA approved this as medical massage chair, backed by intensive research on its safety, health and effectiveness. Also, Luraco offers one of the best warranties in the massage chair industry (5 years on parts, 3 years on labor), which is extremely important when you invest big sum of money into your health. While we think, iRobotics 7 are truly the best, Human Touch NovoXT is definitely another great reclining massage chair to consider. The main advantage of NovoXT is that it’s wall hanger or space-saver. You can position chair only 2 inches from the wall and can transition to reclined position smoothly and 10 inches shorter (from front to back) and 7 inches narrower (from left to right). Perfect for smaller apartments or limited spaces. Chair lacking a little bit in functionality, though. NovoXT has only heat in lumbar area, while Luraco’s has heat on all spine, seat and feet with adjustable settings of intensity levels. You can adjust massage strength for neck and shoulders, back and feet area independently. However, HT brand offers5 year warranty on labor that gives you 2 extra worry-free years, compared to Lauraco’s recliner. 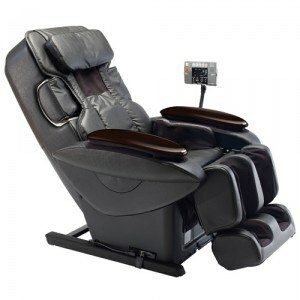 It is one of the best massage chairs according to many large brick and mortal and online retailers. Chair requires only 2 inches of space from the wall to transition to reclined position. But this massage chair is missing in heat functions and in level of massage adjustability. Besides 2D roller instead of 3D ( you can get it in IT-8500 3X model, if you eager to spend extra $1,000) Infinity IT-8500 will perform on the level of iRobotics 7 or NovoXT. Chair has everything you need, like heat feature, foot rollers, neck&head massage, body detection technology, audio speakers and many more. 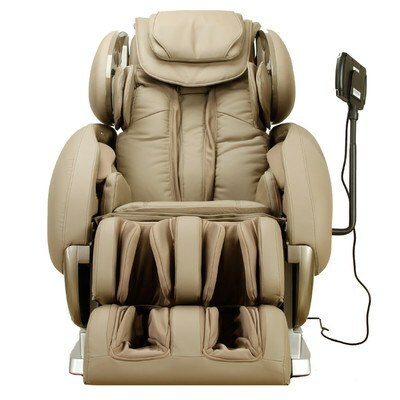 But chair also reasonably priced, what makes this full-body shiatsu massage chair a very popular in the industry. If you have $5,000, the best way to spend them is on a new Infinity IT-8500. Despite lower price this massage chair make a fair competition to luxury massage chairs with its versatile features and reliability. 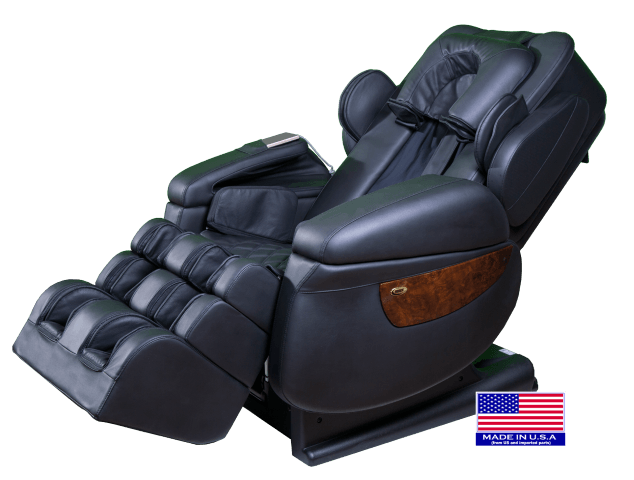 While massage experience in high-end recliners are really worth the money, not everyone can spend as much on a electric full body massage recliner chair as on a used car in an excellent condition. But all of us will profit from daily relaxing massage, as it reduce stress, muscle soreness, improves sleep and improve blood flow (blood circulation). In this situation Kahuna LM6800 could be a right option for you. It’s reasonably sized (require only 5 inches of space from the wall), with heat available in lumbar and calf area. 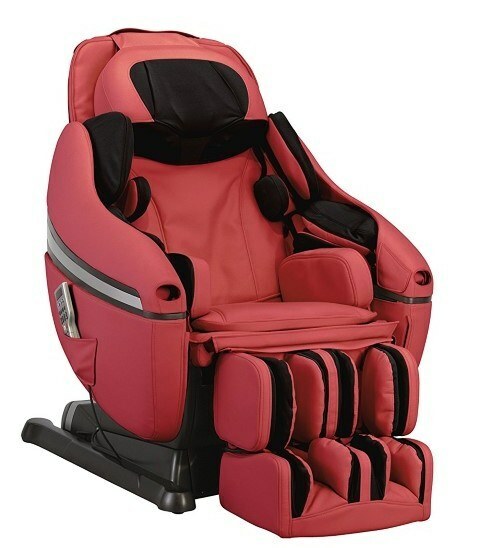 This massage chair has 4 rollers and 36 air bags for full-body massaging. This massage chair is also one of the most popular models among Amazon Recliners in this price range. 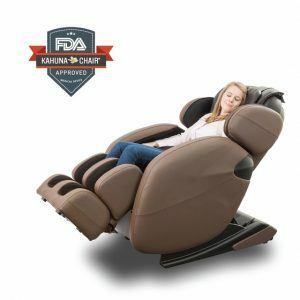 Kahuna LM-6800 is reasonably priced chair with most of the features a good massage chair must have. But let’s be realistic that LM-6800 is around 4 times cheaper than iRobotics7 or NovoXT. Chair shouldn’t be placed in the same line, but rather to be seen as low-budget option for those who can’t afford $7,000-10,000 on a premium massage chair. L-track –it has quad 2D rollers with adjustable strength. Chair can go up to massage your glutes for the thorough whole back massage. 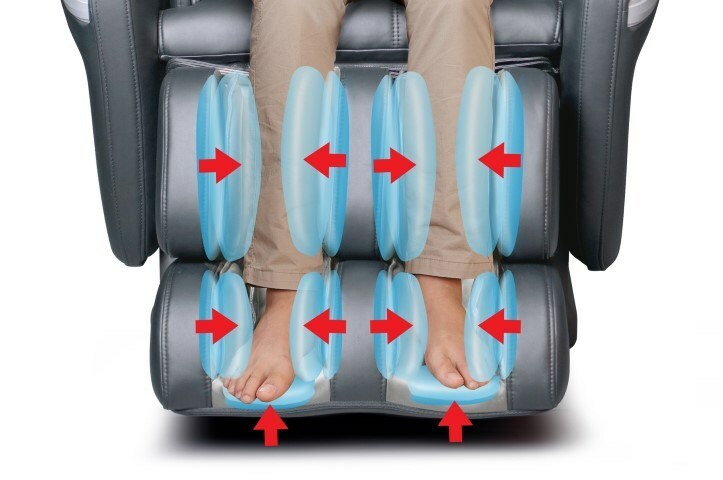 Double Foot Rollers – beside air massage, this massage chair has double rollers in foot section. Massage Chair Airbag– 30 airbags with 3-level intensity adjustment. Yoga body stretch – yoga stretch massage program helps to stretch front of your body, spine and hamstrings. 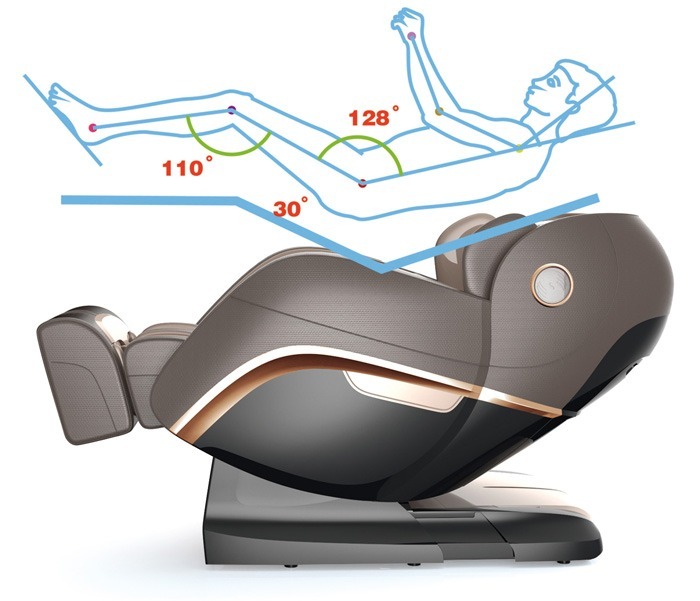 Computer Bodyscan – computer body detection technology helps chair’s rollers and air-cells to get into right places. Zero gravity – two ZG positions for “floating-in-the-air” sensations. Space saving function – requires only 5 inches of space from the wall. It makes it not only affordable chair but space saving as well. As you can see that it has many features only available in higher priced massage chairs. So it’s a lot of good you will get for a very attractive price tag. But before you decide to buy you should be aware about the most common complaints related to LM-6800. Many users don’t like that fabric in foot roller section is too thin and strength of massage is too hard. It’s fixable though, you can add some extra padding like a towel and it won’t be a problem anymore. This massage chair is available only in beige - that could be a problem for people who wants wider color options. This massage chair is made in China and often has problems with assembly, so it’s always better to order white-glove delivery. Nobody wants to be disappointed before even trying an expensive massage chair. Electric Full-body Kahuna LM-6800 is available only through online retailers, so there is no way for you to try a chair before buying. You will enjoy this chair, unless you’re more than 6’ tall, as it doesn’t handle well anybody above this height. There are more brands available then been listed here such as Brookstone, OSIM, Authentic Beautyhealth shiatsu recliner. Nevertheless, brands and models above are the best at the time of this review. If you do not make your decision just yet, we are working to bring you comparison chart of most popular models. Stay tuned and make sure to subscribe to our mailing list to get updates. Hope we provide you with uptodate and relevant information. We tried to provide most comprehensive guide to surpass any top 10 or top 5 guides that is presently available. 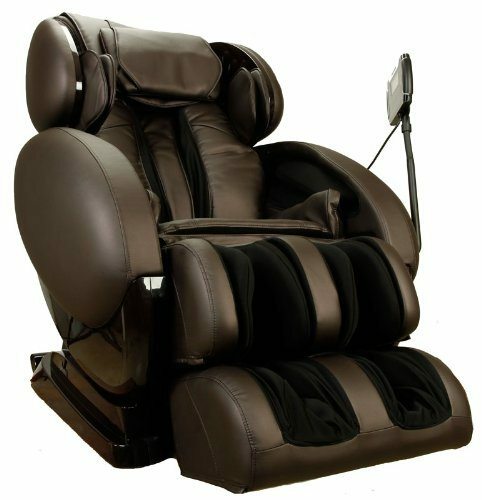 This zero gravity massage chair recliner lacks in many area compared to high-end models. However it’s the best massage chair for the money and it will give you a better massage than other similarly priced models. While our team believes that Luraco iRobotics7 are totally worth it, we understand that some would like to look at more options before buying. And if Human Touch NovoXT, Infinity IT-8500 and Kahuna LM6800 are not enough to satisfy you, consider next four models. Fujiiryoki EC-3800 is 100% Japan made, the most popular brand in Japan. That means no other model in the list will offer you the same reliability and quality of production. The drawback of this chair is an absence of heat therapy. Some customers over 6’ complains that this massage chair doesn’t fit them properly, despite to be advertised for people up to 6’3’’. Inada Dreamwave is another Japanese chair. It’s designed and assembled in Japan and uses some China-made parts though. It’s still good-made and reliable. DreamWave massage chair has 3D quad roller system, which could be called 4D as you can adjust its speed too. Chair has great airbag massage system, including shoulder, made by special shoulder unit, not seen on other therapeutic massage chairs. This model also has feet rollers, stretch program and heat in seat and lumbar area. Some special chair features include DreamWave function. It vibrates and rocks the seat from side to side in 8-shaped motion promoting relaxation, and Youth Program letting children 14 years and over to use it. Additionally this massage chair is one of the quietest with only iRobotics7 even quieter. The drawback that it was first introduced in 2007 under Inada Sogno DreamWave name. Chair received minor updates (software update) in 2012 and called Inada Dreamwave. So while Dreamwave is still a good chair but stands back compared to more innovative and best massage chairs. Osaki OS-4D JP Pro is the only model made in Japan. It’s actually made by Fujiiryoki as private label for Osaki. Everything that applies to Fujiiryuki brand applies to this one: great quality of roller and airbags, their ability to work together coherently, providing with the most relaxing massaging. Chair has Kiwami Mecha 4D rollers with ability to adjust intensity and heat in lumbar area and feet area. Drawbacks: the absence of foot rollers, pretty archaic stretch program and short S-track roller (less than 22’’). This model while advertised for people up to 6’, but in reality works better for someone not exceeding 5’8’’. However, it’s still a great chair that you definitely should consider. 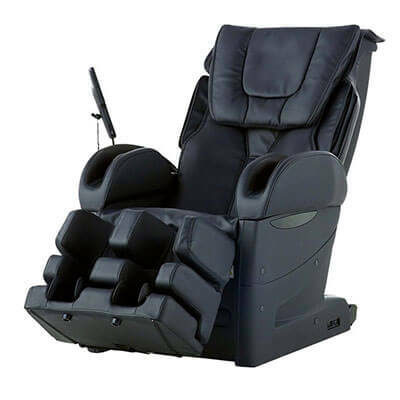 Some other popular models are: Osaki OS-1000, Osaki OS 3D Pro Dreamer, Osaki OS-3D Pro Cyber, Osaki OS-4000 , 4000t executive zero gravity, Osaki OS-7200H, For The whole Osaki Chair product lineup click here. It’s really worth adding Infinity Iyashi to the list of zero gravity chairs to consider. This massage chair has multiple features that make it to stand out. It has 49’ L-track, the longest on the market as well as rollers in the feet. This model has Thai stretch program, posture correction, Bluetooth speakers and lumbar heat available. Plus it’s a wall-hanger type of a chair, which requires only 1’’ from wall to function properly. The drawbacks: chair was introduced to the market 5 years+ ago, when many recent technological novelties like 3D or 4D rollers didn’t existed. Despite that, this chair hardly can be called outdated and makes a decent competition to newer models. You know that feeling at the end of the day, when you’re tired, your body aches, but your spouse or significant other doesn’t feel too excited about giving you full body massage. Neither you have an option to drop in to therapist without previous scheduling. Now imagine that you have a good zero-gravity massaging chair. It doesn’t matter anymore, if your spouse tired or if you didn’t schedule your appointment. It doesn’t matter if it’s a blizzard or "like-in-the-oven" outdoors. You just sit in zero gravity position (ZG), press the start button and enjoy massage, stretching and heat therapy while listening your favorite song. And all that in the comfort of your own home. Either you’re an office worker or a professional athlete or stay-at-home mom or a nurse, you can benefit from having a daily regular or deep tissue massage. Multiple studies showed the effectiveness and health benefits of massage. Robotic chairs were invented in Japan in 1954, and nowadays every 5th household in Japan owns one. Western medicine also agrees on that regular massages (as well as deep tissue massage) can help your health in various ways. It helps to reduce muscle pain (even chronic pain) and relief stress and tension, fight anxiety and depression, as well as sleep better and deeper. Modern high-end chairs are so complex that often it’s can be frustrating to understand what you need to look for. Especially that so many brands are present on market, and price brand to brand can vary significantly. Prior to choosing one that fits right, you need understand important features , how good they are made and how easy to resolve any issue, should it arise. 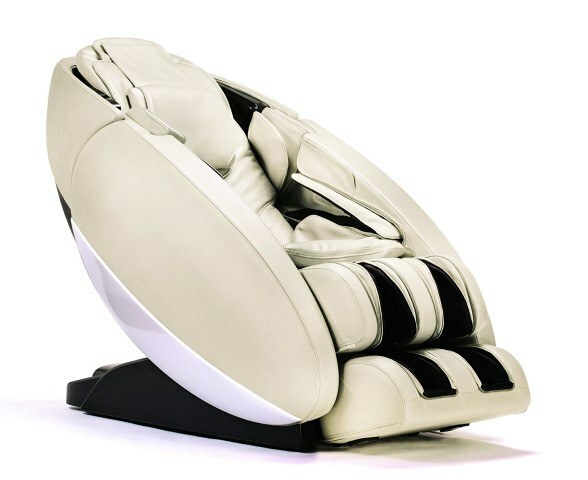 Modern massage chair is a piece of high-tech equipment. Robotic chairs have numerous features that can improve your overall experience. Understanding all possible features will simplify your search of perfect one significantly. Zero-gravity is a position of your whole body, when the weight distribution is the most even. As if you float in weightlessness of a space ship. It provides the most relaxation to all of your body parts especially lower back. You can achieve that with 30° upward tilt of the seat and 120° between sit and the back. NASA introduced ZG as an optimal seating position for astronauts in a spaceship. There are many non-massage chairs that are zero-gravity. And not all high-end chairs are zero-gravity. Our best 4 picks are all zero-gravity. But there are plenty quality equipment that provide great massage without getting you in zero-gravity recline position. Zero-gravity is more relaxing for your back. If you have back pain, zero-gravity is a great choice for pain relief. If zero-gravity is not a vital feature for you, find out more about best non-zero-gravity models down below. Air cells massage different parts of your body by inflating and deflating. The higher number of air cells, the better experience it will produce. Some air cells can have two or three layers meaning that with each inflated layer you will have higher pressure on particular spot of your body. Same as with air cells, the more rollers the better. But besides total number of rollers, the position and range of motion matters. These types of rollers are located in the back and give you a massage from neck to glutes. Dual rollers have two roller heads on each roller while quad rollers have four roller heads on each roller. Usually dual rollers can give you a more intense massage, while quad rollers give a gentler one with pressure points spread among four rollers on each side instead of two. So if you’re a person, who usually removes cushioning from massage therapy chairs and massage pads, double rollers are definitely is a better choice for you. It is known that our spine is somewhat S-shaped. Manufacturers created S-track rollers to repeat that curve of your spine and to provide same intercity massage along all of your back, but don’t go further than your lower back. On other hand L-track goes up to the end of your glutes and creating a curve that resembles letter L in shape, from which they got their name. Because L-track goes until your thigh area, they are longer up to 49 inches, while S-track length usually ranges from about 28 to 31 inches. Thus that totally understandable that L-track will be longer than S-track and you should compare length of tracks only within the same track type. On question which track is better, the answer, probably, will be L-track as it will give more intense massage to your glutes than air-cells chair massager. However, very limited number of chairs have L-track (now most chairs rated as best massage chairs, event cheaper models have L-track) and those which have it lacks some other advanced features, so it’s up to you to decide which feature is more important to you. First rollers can move only up/down and left/right. They called 2D rollers. Japanese brand Fujiiryoki first introduced 3D rollers to the market. Innovation was massage roller that is able to move not only up-down and right-left, but also forward and back, imitating masseuse hands that can press harder in one moment and gently in another. 3D roller is a great advantage, and if you think 2D vs. We recommend to consider 3D roller option when shopping for a right chair. 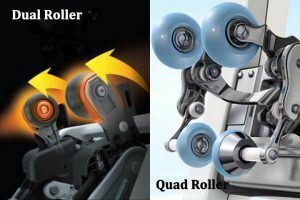 Another thing to know about rollers is that, while majority have back rollers, only limited amount of robotic chairs have rollers in feet or quad area. Roller is always stronger and more thorough than air-bag. If you’re a runner or biker, or stand all day, or just give a big importance to feet massage, it’s better for you to consider one that have rollers besides air-cells in desired areas. If you ever wondered what’s up about 4D rollers, and how it’s even possible? The answer is 4D is just a marketing trick. The difference in 3D vs. 4D rollers are just that you can control rollers’ speed and make them move slower of faster. We all know that heat has very soothing influence on the aching body, making heat therapy option a very valuable addition to any model. Pay attention to heating pad and in what areas heat is available, and if you can adjust intensity levels. Different manufacturers call their massage programs different name, but most of them consist of the same roller motions: rolling, kneading, tapping, and shiatsu types of massage. Often any shiatsu massage chair with rollers might called: “Shiatsu”, so you need to double-check that chair really has Shiatsu massage program. Shiatsu massage program is targeting certain points on your body. That is why it is a must to have a good body detection technology in order to find right spots and perform Shiatsu massage on them. You need to be careful about any cheap recliner that claims to have Shiatsu program. Check this video of Dr. Alan Weidner, the best specialist in luxurious massage chairs features visual explanation of Shiatsu technique. Another good option which many high-end chairs have and many is a stretching program. During this massage session you can gently move your body to stretch different parts. Another massage type, which many find very soothing, is vibration. Usually it’s the simplest chairs and massage cushions, which offers vibration and nothing else. Sometimes sophisticated robotic chairs also include vibration massage program for added relaxation. The quality of massage is very dependable on how good it can detect your body and adjust to its composition. In other words will it detect correctly where your neck is, and how wide is your shoulder. Or will it constantly hitting wrong places causing discomfort if not a pain. Also you need to know if footrest (stretched foot rest) and armrest can adjust sufficiently to fit your very long or very short body. Many Japanese brands of have a problem to accommodate taller and larger people, as they tailored to more petite Japanese body constitution. Checking on either armrest moves when chair goes to reclined position also a good idea. As if it's not your arms will slip out from armrest and won't get proper massage in this position. Every model has specification for height range and maximum weight they can perform optimally. We all are different and we can differ in our preferences too. The ability to adjust its massage and other options (like heat or vibration) to your needs can go a long way. When considering a model for purchase, look at how much you can customize your experience: whether chair has intensity levels and/or heat, whether intensity level settings applied to the whole chair or you can set different intensity levels for different parts of your body, or whether you can tell it to work on specific part of your body with specific technique. Several models are equipped with audio speakers for you to enjoy your favorite music. One for some of you, dear music lovers, that can mean a lot. Details on what kind of music carrier you can use to play music from is differ from model to model and hardly will the main factor for you to decide on buying one. Same as user-friendliness and response time for screen and/or remote control. Some models are easier to operate and are more intuitive than other, but for the most of us it’s not a key factor for choosing a right model. Robotic chairs are pretty bulky. You need to decide, where you will put the chair, and how much space is available. Every model lists its size and space required for smooth operation. Some are bulkier than other. If space is limited look for models that advertised as wall-hangers, they require less space for operation. Full Body Massage chairs are noisy enough. Imagine all those motors and air pump working together. If you plan to use it where other family members present, you can interfere with their activities. Though, if noisiness is a problem for you Luraco iRobotics7 is the quietest of them all, besides being best model available. Some models such as iRobotics7 are very easy to set up even by NOT very handy man. And some other models will get nervous even the most experienced tech guy. Easiness of set up shouldn’t be a key for your decision, but consider white glove delivery, when in doubt that you can get it right. Most sellers offer it. Some are sold fully assembled, but in this case you need to double-check if chair will fit in your door frame, when delivered. Japan is a birth place of robotic massage chair. Until now models made in Japan were most reliable. However, even the most reliable brands can break or malfunction. That’s why good warranty and customer service also goes a long way. Generally models that are made in Japan priced significantly higher. Nowadays some Japanese brands started to outsource parts manufacturing partially or completely to China in order to compete on world’s market. Though most of them still have good quality control, and preferred before Chinese manufacturers. As with everything that at list once outsourced to China, Chinese companies started to produce their own equipment under various brand names. Some are decent quality, others are braking often, malfunction and hard to set up. That’s why it’s always a good idea to search the brand you never heard of before shop for one. Even an average model made in China can cost a couple of grands. Taiwan is another country, who makes parts. Particularly Luraco massage chairs while assembled in USA, made of Taiwanese parts. Taiwan considered to be a better quality of production than China. But Luraco offers one of the best warranty plus US-based customer support, so even if the problem arise it can be solved faster. 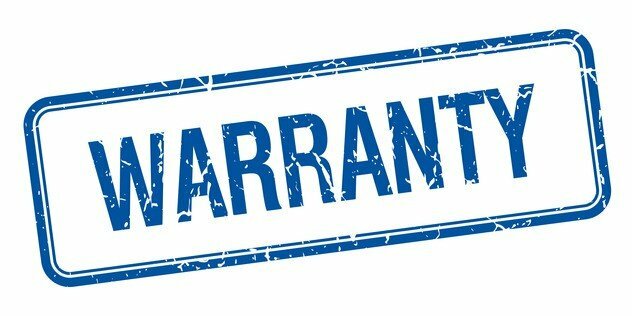 Warranty ranges from 1 to 5 years on labor and parts. With only Luraco offering 6-months commercial warranty, in case you’re looking for a model to use in your business. Bottom line, Japanese chairs are great but pricey. US made (or rather assembled) is reasonably priced and with good quality control. Chinese chairs are in majority with quality that significantly varies. 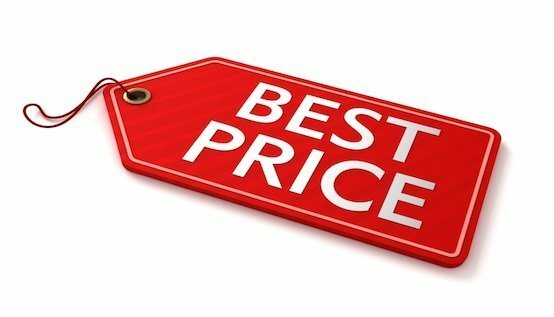 Price can vary drastically from $300 for a vibration model to $10,000 for a full body recliner with the most advanced features and technologies incorporated. Japanese chairs cost more than Chinese. You will notice that Fujiiryoki, Inada and Panasonic have significantly higher prices than HT, Cozzia massage chair or Omega for the same level robotic recliners. Ijoy chair line such as Human Touch Ijoy 2580 (Ijoy2580) or Human Touch Ijoy Active 2.0 are cheap, but lacking most of the features of best massage chairs. The Panasonic chairs are usually higher priced taking to the account that they mostly made in China. Also pay attention to regular price vs special price many brands may introduce during some holidays. Deep discounts are often available (especially for older models). Nowadays you can buy office chair with massage function built in, but every office leisure recliner chair model we came across posses low quality built-in massaging hardware. It could be overwhelming for inexperienced buyer to figure out, what model to choose and how they compare to each other. And the good rule of thumb is to choose trusted brand that is on market for a while, the brand that stands for its products and won’t go out of business in a year or two, because chair is an item you plan on using for many many years (brand comparison table is coming soon). That is why knowing the brands you can trust, drastically ease your search of a perfect full body massage chair. Overall all Japanese brands of are trustworthy, despite where they produce parts and assemble their products, as they still have good quality control. Examples of good Japanese brands are Fujiryoki, Inada, Panasonic, Osaki (including Titan and Apex lines produced by Osaki), Infinity massage chair, and Ogawa, Daiwa. However, besides Fujiiryoki, which always 100% Japan-made, rest of the brands produce them both in Japan and China or in Japan but with China-made parts. Despite that those names still will be preferred over totally Chinese brands or US brands made in China. 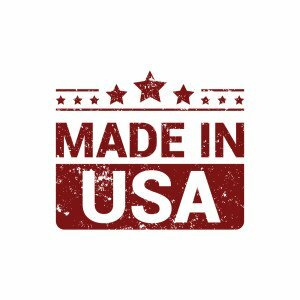 Besides Japanese chairs, Luraco is the only one made in USA or rather assembled in USA as parts are made in Taiwan. However, Taiwanese parts are considered better quality than most of Chinese ones. Thus, Luraco is a great brand to consider, especially if take to the account their customer service. The third group of brands you can look at are US and Chinese brands made in China but by large and respectable companies, that have been long enough on the market. Those brands as Human Touch or Relaxology (both almost 40 years in business) and newer Kahuna, uKnead, and Omega, which exist not for long but have good reputation so far. 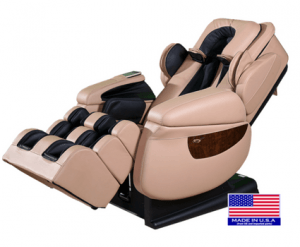 We presently would not recommend Fujita massage chairs as they made in China and company despite being located in California and making them for a long time has a terrible customer support. If you decide to buy one of their full body massage chairs after reading our buying guide, consider yourself on your own, should any problem arise. Their website is also poorly managed. Also be diligent that Asian chairs can be referred to both Japanese and Chinese, which can differ in quality drastically. 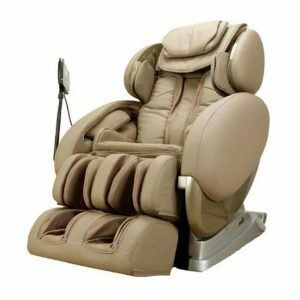 Korean chairs are also Asian, but there is no Korea-made electric massage chair recliners on US market. Though, in June 2016 Korean company Boyfriend plans to open 150+ stores in USA by 2022. When searching for reviews, be skeptical about quality of Schultz ZycraPulse Lounge (as recent industry research showed that many review websites recommend this model). Shultz makes only one model of massage lounge chair, doesn’t state where it’s made (most likely China), doesn’t have adequate company information and product reviews are estimated to be mostly fake by fakespot.com It’s also priced at more than $14,000 what makes this massage chair is the most expensive model. Consider these tips on reviewing massage recliners brands. Examine official website of the company on overall appearance, contact information (if there is a physical address and phone-number), and related products they sell. By being the best chair by many standards (with great body detection technology and minimal user’s height at 4’7’’) Luraco Technology iRobotics 7 make the best choice for petite people. Inada Dreamwave is one of the best massage chairs for shorter people due its “Youth” program that was created to massage properly smaller body frames. Chair also a great if other members of the family who plan on using this massage chair are taller than 6’, as this model of Inada can handle a person up to 6’5’’ tall. Panasonic EP3007 is another model to consider for miniature folks. Massage chair can accommodate a person as petite as 4’6’’. But it doesn’t work very well for anybody above 6’. It is small massage chair (width) compared to other models from PNS. This Panasonic EP model is for you, if you looking for more budget friendly model with stronger roller massage. Inada Dreamwave is more expensive and its massage is more gentle. But you need to remember that Inada is made in Japan unlike China-made Panasonic. Additionally, EP3007 Real Pro Ultra lacks many features like upper arm and neck massage. Panasonic also doesn’t have 3D roller or heat option. Both models are nonzero-gravity. Another popular model is Panasonic EP-1285TL Leather Urban Collection (outdated but still for sale with best deals available at the end of the year). If you not shorter than 4’11’’ IT-8500 also could be a good option for you. Especially with its attractive price (see the full review here). Body composition differs from person to person. It’s worth to specify that we will be talking about chairs that will most likely fit a tall person with evenly distributed weight. For example people with extremely wide shoulders or people with really large waist circumference are always advised to try chair personally before buying. Novo XT sets the highest limit on user’s height at 6’9’’ with weight limit at 300lb. Considering that this recliner acquires all recent technologies and slick modern design, chair is highly recommended (read the full review here). Luraco is making to the best robotic massage chairs in this category too. Luraco Technologies is a well-known military contractor. iRobotics 7 is the only medical model that is used for soldiers’ recovery at military bases in US. It is an upgraded model from iRobotics 6. If the massage chair works well for soldiers, who often taller and wider in shoulders, then it should fit you as well. At least if you’re not exceeding 6’7’’ and 300 lbs, as that is manufacturers height and weight limit. Dreamwave made on this list as well. 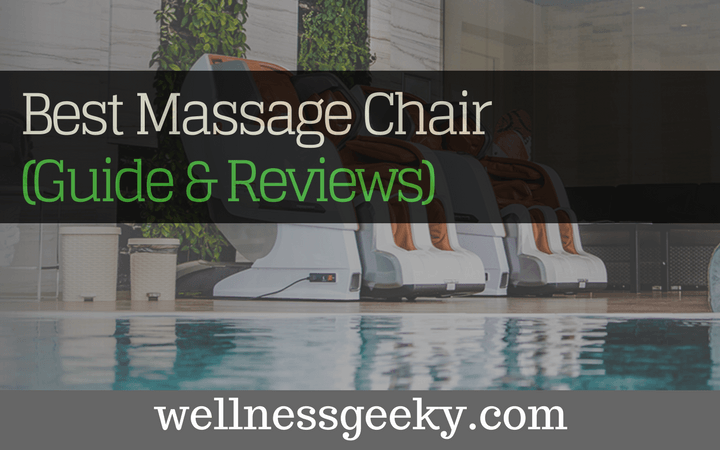 What a fabulous and versatile massage therapy chair. Inada states that its models can accommodate people up to 6’5’’ and 295 lb. in their manual. But they also say that if you can fit into the any of their chairs, you can safely use it without weight limitations. Infinity Iyashi, zero-gravity recliner that sets the limit on customer’s height at 6’6’’. However their weight limitation is only 285 lb. If you over that limit and up to 350 lbs., Infinity IT-9800 could be a better option for you. Infinity IT-9800 is cheaper chair that doesn’t have foot massager function and arm massage (hand massage). 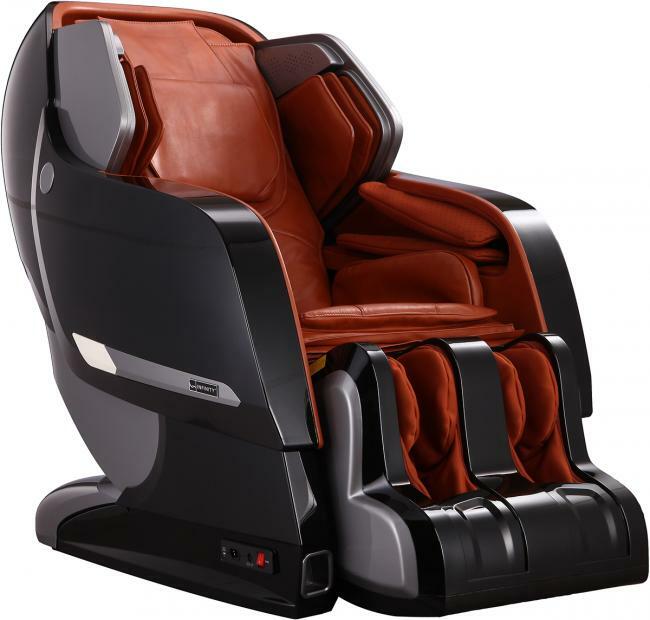 It doesn’t have air bag or 3D roller as Dreamwave massage chair, or speakers and Bluetooth connectivity as Iyashi, but this chair has calf rollers and heated massage option. Maximum height for this chair is 6’7’’. If fancier chairs won’t fit your body comfortably, definitely look at this massage chair recliner chair with massage and heat. Now that you are familiar with the best massage chair reviews for 2017 / 2018, you can choose wisely the best option for your individual needs. But as of now (if money is not an issue) - our expert advise will be Luraco iRobotics 7. It is one of the best massage chairs as of 2019! So, Which Brand to Trust?